Get to watch the many ways that Bayek can assassinate his enemies in the Assassin’s Creed Origins live-action trailer revealed by Ubisoft. 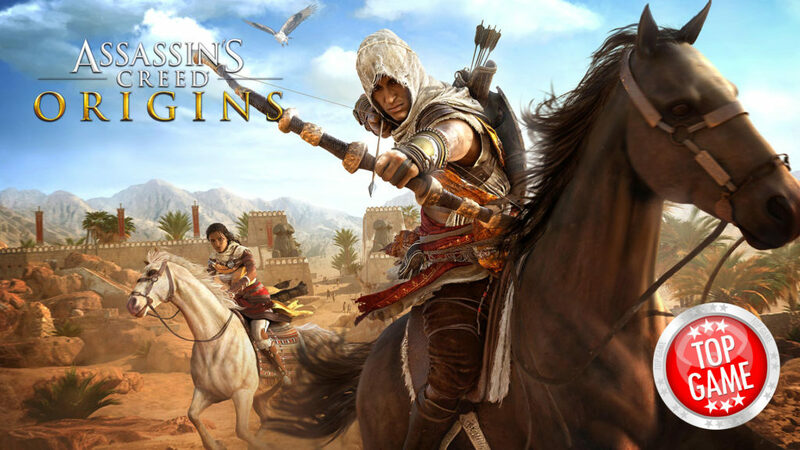 Set in the ancient Egypt the video opens with Bayek and his eagle. It will then cut to people struggling to get their weapons in order to kill their enemies. There are various methods, like stabbing in the back, hiding poisonous snakes in enemy’s beds, or perhaps drowning the people while they are taking their baths. Also, the Assassin’s Creed Origins PC System Requirements has been announced. Want to know if your PC can play the game? Check it out below. Assassin’s Creed Origins officially releases on October 27, 2017, for PC, PlayStation 4 and Xbox One. Ubisoft’s Assassin’s Creed Origins is set in Egypt with map that is actually so vast. Details of the game’s free DLC and Season Pass are available here.